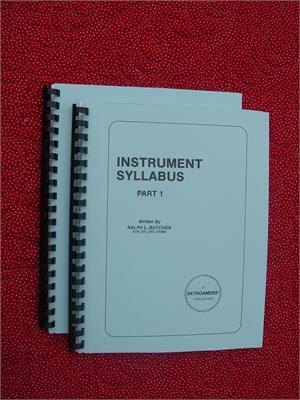 A flight instructor uses this syllabus (150 pages) to prepare a pilot for an instrument rating in CCA* or TAA* under 14 CFR parts 61 or 141—FAA Approved for part 141 flight schools. 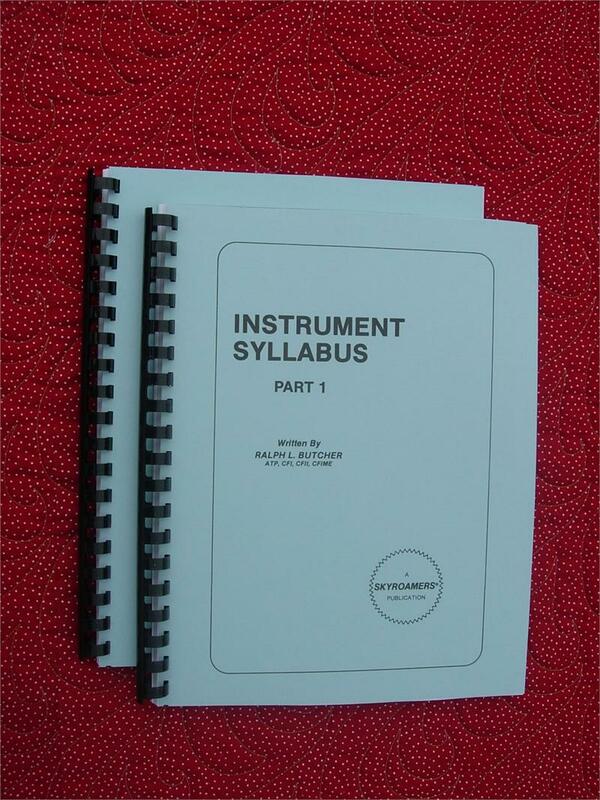 To understand the many elements in this syllabus, Skyroamers® Instrument Pilot Flight Training Manual is required. This syllabus requires an FAA approved flight simulator or an FAA approved advanced flight training device (FTD). If you have an FAA approved basic FTD, use Skyroamers® Instrument Syllabus—Airplane Only and use the FTD for basic scan training, basic radio navigation training, and any other appropriate tasks. A basic ATD does not have the same FAA approvals for training as does the advanced ATD or FAA approved flight simulator. * CCA—conventional cockpit aircraft, TAA—technically advanced aircraft (Glass Cockpit and GPS navigation). RECOMMENDED TO BE USED IN CONJUNCTION WITH THE INSTRUMENT MANUAL.